You fantastic bearded Hat model, you. I'll be having a day off today too, and will be back in the studio tomorrow. Today we might have lunch plans and then pizza plans later. A chilled day. Geko Beanie, Northend, Ribbed Beanie, Slipped Ridge, Ledger Beanie, Noma, Chevron, Dylan's Beanie. There are a few of my older patterns that, for a variety of reasons, won't be carried forward and revised or updated and hence won't be part of the new catalogue. Rather than have these patterns disappear, I thought I'd make them free :). They are in the new layout, but otherwise haven't changed. If you've previously purchased either of these patterns, look out for an email update from me in the next few days containing a coupon code. If you purchased them as part of the 'Chullo Collection' bundle, you'll receive a combined value coupon. These patterns have been unavailable for sometime (almost a year? ), which was intentional as I didn't want anyone buying them then being told a week later they'd be free. I'll park these here for the time being, and update the Ravelry links to this post too. When the new website is (finally, finally!) built, they'll have their own page again. Until then, the old pages have been disabled. As with all my free patterns, all support is handled via my Ravelry forum - any questions, even about delivery or older versions, please pop them over there. And here's My Dear Stalker! Noma was originally published way back in 2010 in SlipKnot, the journal of the KCG (Knitting & Crochet Guild (UK)). I designed it using some gorgeous handpsun yarn that BabyLongLegs sent me, a blend of merino and cashmere named 'An Ode to Vincent'. I've had every intention of republishing the pattern, but it's just kinda sat there, waiting. The problem is, is that it's not an easy Hat to photograph. The original shots weren't all that great, and each time I've got it out to reshoot it, it's found it's way to the bottom of the pile again. It's a Tom sized Hat, which means that really, he's the only one who can model it. This has never really impressed Tom much. I think we got there this time, though. Noma is available free and you can click over and download the PDF now. Have fun knitting it, as well as wearing it! How did it get to late August already? You may be surprised to hear that I've been busy on the pattern front behind the scenes over the last couple of months, and there's a whole host of patterns queued up for release. I don't think this has ever happened before (or should I say, I've never been this organised before) and given life of late, I'm feeling a little bit impressed with myself. And I'm also kinda wondering how this all happened. Josie's wonderful suggestion won the naming competition, and Banksia it is. Describes it pretty well, no? There are 3 sizes in the pattern, and due to the change in yarn and gauge, those sizes are a little different to the original. A slight adjustment in yarn/gauge/needle size will provide even more sizes, should the one you need not be listed. The pattern has been tweaked and tidied a little, but is essentially the same in nature. An illustrated tutorial for the cast on is included, and the charts are large and clear and on a page all of their own. What really makes a difference though is the yarn. 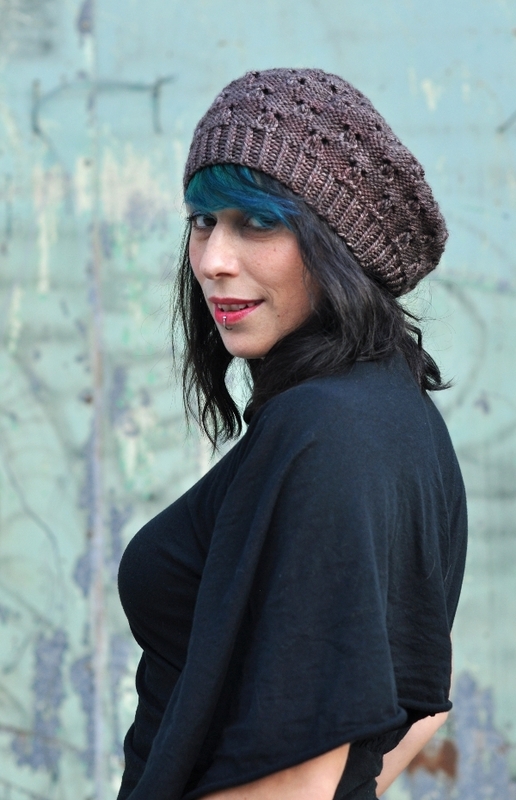 The Langdale Superwash from Eden Cottage has such luster and drape and deep, subtle colourways that make the Hat look so very different. 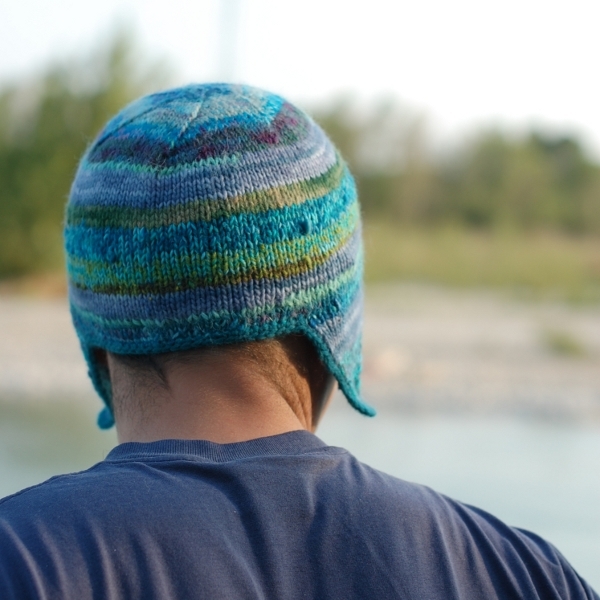 The Hat to hold is wonderfully soft and it wears so well - it really is the right yarn for the design. 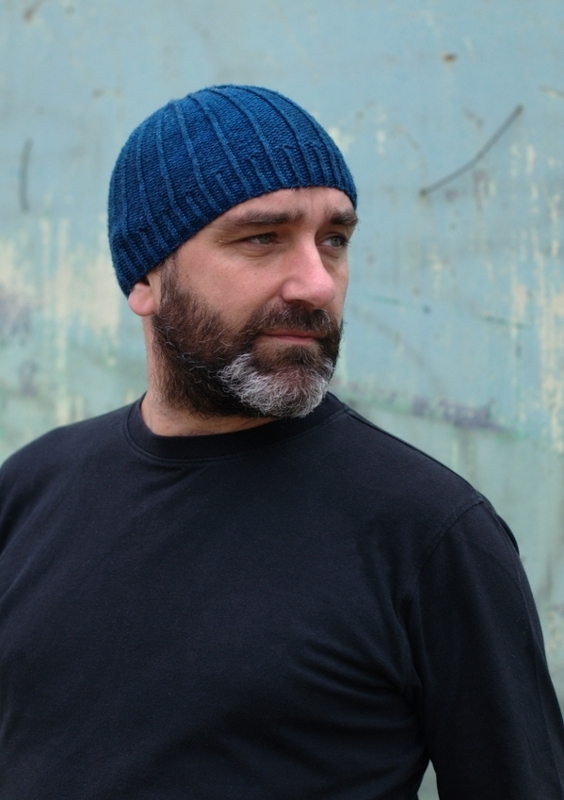 Darkke was originally published in Simply Knitting no.115, which hit the shelves last December. It's been revamped and reformatted and of course, rephotographed and it's there for the taking. With 3 sizes included and instructions in both written and charted format, you get a fair bit for the price. There's also an illustrated tutorial for the cast on, and feedback from knitters says this helps a lot. The recommended yarn is Semi~Precious DK from my buddy BabyLongLegs. It's a strong, structured yarn that gives brilliant stitch definition and you really can't go wrong with it. Gorgeous stuff. Both of these will be featured in the Newsletter which will be going out later today, so if you've not signed up yet now's your chance! Invariably I'll offer a promotional discount that's exclusive to subscribers, so it'll be worth joining for that alone. The last month or so has seen another ripple in Aran's health. We now have a diagnosis of Henoch-Schönlein purpura to add to the Glomerulonephritis. A relapse just over 3 weeks ago saw us back in A&E with all the symptoms of another strep infection (namely fever, and high levels of protein and blood in the urine) except there seemed to be no real sign of strep. It certainly seemed milder than the previous relapse in February. Just as it all seemed to be back to normal a few days later the rash appeared, the protein levels went up (prior to this relapse the protein had reduced right down to trace levels), and back we were again with the docs. Long term, we don't really know what this means for Aran and has kidneys. Our next appointment with the consultant has been put back now until September, which really doesn't help answer any of our questions, and we've still not yet seen a renal specialist. We know each of these diseases are on the rare side, and that normally 80%-90% of diagnosed kids make a full recovery without any lasting damage to the kidneys. Yet it seems to be getting more complicated; each time we see another, different doctor they tell us something new about these diseases and their possible relationship. And each time it feels as if we're coming away knowing less. In himself, he's mostly fine. The HSP rash cleared up quickly and he's been able to go back to school. He knows we're monitoring and testing every day. We've had some great help in terms of diet and kidney health, and he's accepting all of it (even right down to not being allowed his favourite wurstel sausages for the foreseeable future). He's such a star for just getting on with it. And we're trying to do the same; some days are easier than others. We had a photoshoot at the weekend, and I am so very, very proud of some of the photos I took. There's a few releases on the horizon - several patterns that have been published in magazines and the rights have reverted back; a few older patterns have received a full makeover (including Staggered, shown below) and a couple of new ones, too. Lots of folk comment on how close we are and, well, you can't live as we and not be! Aran's fully aware of his health... this is something he *may* have to live with for the rest of his life and it's only fair that he's kept in the loop. It's so very not fair that this is happening to him, but the more normal it is, the easier it will be to deal with in the long term. And if everything works out and he makes a full recovery, as we hope he will, he'll know how lucky he is.